Reliable, out-of-box solution coupled with flexible configurations makes the Quick Check 890 the ideal choice for customers. Bar code symbol reproduction accuracy is critical throughout the distribution supply chain, especially in an era of stringent compliance programs. 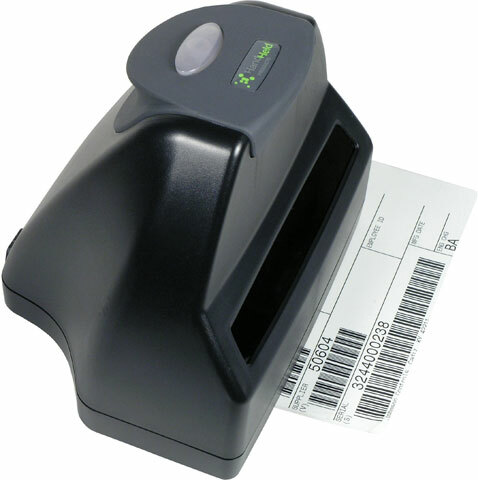 With Handheld Products verification products you can be assured that you can produce, receive, and use barcodes that meet these tough requirements with Quick Check verifiers----The QC600 and QC800 verifiers analyze barcode quality against traditional quality parameters and ANSI-CEN-ISO barcode print quality guidelines. Each unit includes all standard symbologies and is manufactured and traceable to N.I.S.T. (National Institute of Standards and Technology) standards developed by the U.C.C. (Uniform Code Council) and AIM (Automatic Identification Manufacturers). Flexible, Easy Setup and Operation - Compatible with Microsoft Windows 98 Second Edition, Windows 2000, Windows NT (only RS-232), Windows XP, Windows Pocket PC 2003 and Macintosh.